I don't actually know the name of this mountain. But if you've driven into Jasper from Edmonton, you've gone right past it... This was taken from our campsite in the overflow campground. Canon 5D2, and I'm going to guess that it was taken with my 300/2.8. Really cool light here! A very interesting shot! 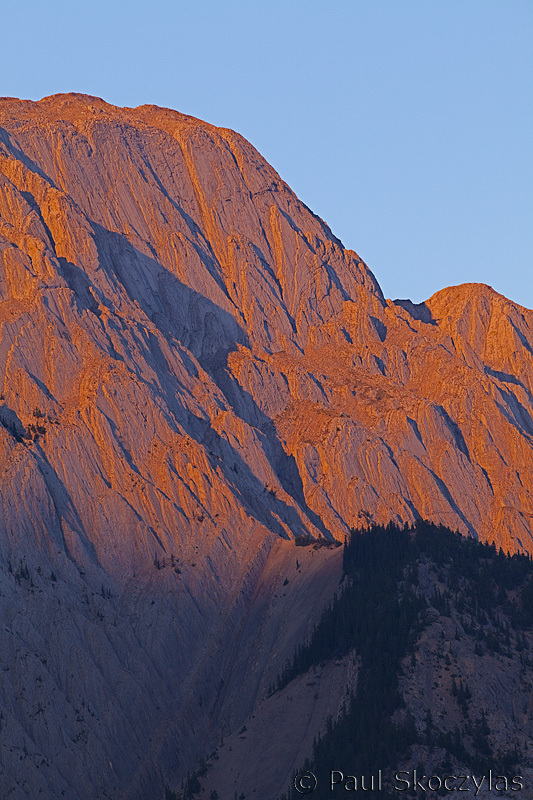 Great light on this sun kissed mountain, Paul! The interplay of warm and cool colors on the rock face is very nice Paul.